You can access the tool at the end of our article. This automatic tool aims at saving money to avoid unnecessary time consuming planning tasks while planning applications have already been decided by the Cabinet Members. 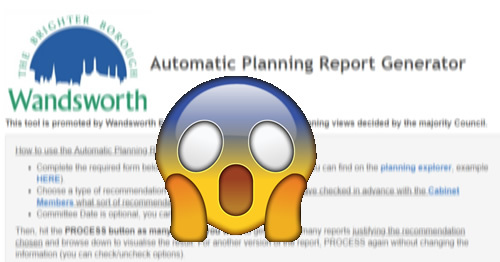 “However impressive the planning documents are, they are of little value if planning policy and guidance can be ignored by the Council in reaching major planning decisions. Before they remove it or protect it with password, feel free to try it and you will see how relevant it has been in recent planning applications! This looks like an April Fool’s joke to me.